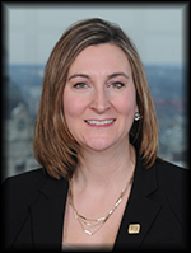 Brandy Garrett serves as a relationship manager and fiduciary advisor for trust administration and estate planning. Brandy acts impartially in managing and distributing your trust property, while always keeping the interests of you and your beneficiaries in mind. Brandy is an Assistant Vice President and Trust Officer with Fifth Third Private Bank. She administers personal trust, investment agency, and estate relationships. Brandy has over 18 years experience in the trust industry and over 20 years in the financial industry. Brandy lives in Newburgh, Indiana with her husband and three children. Brandy earned her Bachelor's Degree in Business Administration from Oakland City University, Oakland City, Indiana.